Luxury Vinyl Flooring: Is It the Right Choice For my Commercial Business? Luxury vinyl tile (LVT) is gaining popularity in retail and commercial spaces. Available in tiles and planks, the versatility of vinyl flooring in Toronto commercial spaces makes it an excellent choice for nearly any business. Whether in hospitals, hospitality settings, offices, retail or industrial, the trend is toward this low-cost, yet high-style flooring that looks as good as it performs. Here, we’ll outline why we think it could be the right choice for your business. Whether floating, interlocking or sticking down, many people choose to DIY this project with satisfying results. If you do hire professional installers, your project will be done fast with minimal mess or inconvenience. You can replace sections as needed depending on the type of vinyl product, yet it’s exceptionally wear resistant so that you can count on many years of value before any part of your floor needs replacing. Hotels and different high traffic zones may replace their carpets every 5 or 6 years, whereas vinyl can perform at least double that time in a high-traffic setting. Being low-maintenance, it requires no chemical cleaners and less water overall to keep it clean. This is one of the key selling features for vinyl flooring. Today’s luxury vinyl tile looks far different than the “linoleum” of the past. You can effectively mimic nearly any luxurious surface to complement your business’s design and brand feel. You can also customize unique patterns, prints and images to personalize your floors with inlaid floor design. 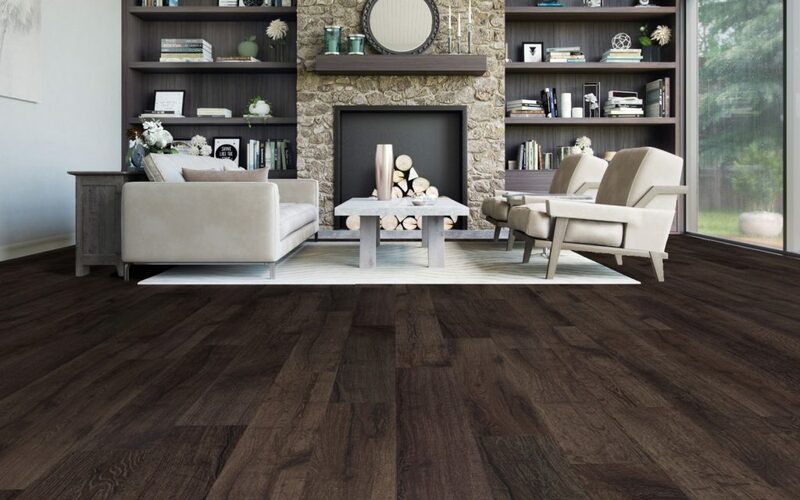 Whether you want the real look and texture of hardwood, ceramic tile, or stone, LVT can create the effect, flawlessly. Any style you could imagine completing your space at a fraction of the budget- that’s the benefit of vinyl. We think vinyl floors are going to continue rising in popularity as the technology for quality manufacturing and the multitude of applications grow. Whether you’re seeking contemporary or classic, personalized or practical, vinyl flooring can suit your commercial space for years to come. 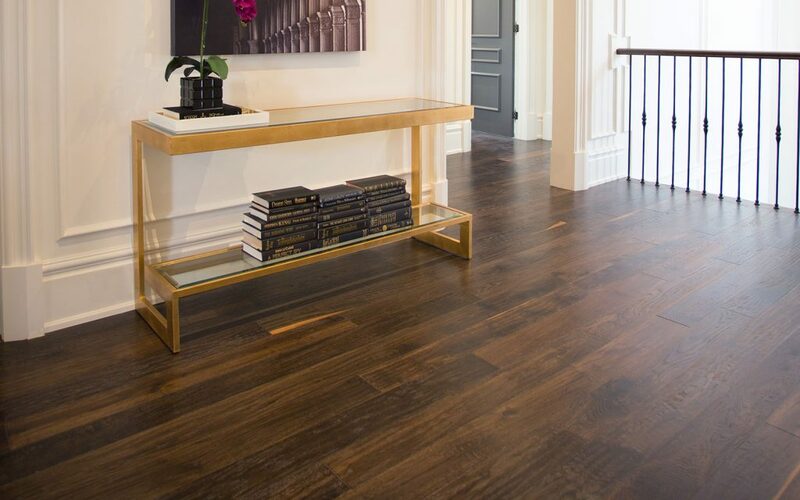 We welcome you to contact the floor experts at Chestnut Flooring today. We’ll be happy to provide a tour of our expansive showroom and answer any questions you may have.